My future wife and I were living in a brand new, two bedroom flat in East London – I dread to think what it’s worth now, but never regret something that made you smile! Since moving out of my parent’s house, the PlayStation now had its own room, which was shared with the insane horror video collection I’d amassed by then; DVD was still over a year away for me, as was the crazy expensive desktop PC that would introduce me to the format (in partnership with The Blair Witch Project). In the meantime, there it sat, connected to the red portable TV that once hosted my VIC-20, amongst nearly a thousand neatly stacked VHS titles such as Death Curse of Tartu and A Nymphoid Barbarian in Dinosaur Hell. As an aside, that collection is now more than three thousand, with storage very much benefiting from the advancement and miniaturisation of viewing technology, and a much bigger house! VHS was still playing a big part in my appreciation of wrestling too. The Sky box was still many years from being something that recorded stuff as well, and setting something to record every week on the 9-year old video recorder that I’d got for my 18th birthday was still a major pain in the arse – no series link on there! But it was worth the effort. This was the heyday of Stone Cold and The Rock, Triple H, Mankind and, of course, my all time favourite The Undertaker. You also had the emergence of innovative tag teams like The Hardy Boys, The Brood and The Dudleys. And it was WWF at its sleaziest, with The Kat going no holds barred, getting her knockers out after winning one of the best evening gown swimming pool matches ever. But 1999 is probably always going to be remembered for Owen Hart falling 70 feet onto the turnbuckle and dying in the ring at Over the Edge. Tragedy. 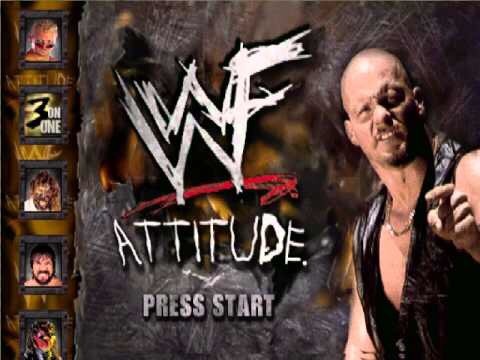 I probably played the previous year’s WWF War Zone more than Attitude – Becky was far more tolerant of both the PlayStation and wrestling before we moved in together – but Attitude took what was probably the most atmospheric and complete wrestling game at that point to another level. All the characters were there, including the recently deceased Owen Hart and some subtle tributes, with multiple outfits and realistic entrances, complete with wrestler voicing, that in reality you probably only ever watched once at most! Spend enough time with your favourite (The Undertaker, obviously) and the vast array of grapples, moves and reversals became second nature as you worked your way through the various modes; career mode was great in Attitude as you worked climbed the ranks and the WWE show calendar. Despite there only being four wrestlers in the ring at once, you even had the full 30-man Royal Rumble, where the risk-reward thrill of going for a throw over the top ropes was the highlight of the game for me. There was so much content in this game! You could create a pay per view, where you could go into incredible detail right down to choosing the lighting, logos on the ring apron and even the turnbuckle colours. Create a wrestler used an RPG style attribute system where you could assign a certain number of points to speed, power, mat skills, etc. You could choose from names that would translate into the game commentary and crowd chants; the crowd noises were a huge enhancement over War Zone and more than made up for the lack of atmosphere generated by the rather mundane commentary. You even could put dirty words on the character’s clothes. And this all resulted in some great looking freaks that could pull off the most bizarre entrances and exotic finishers! 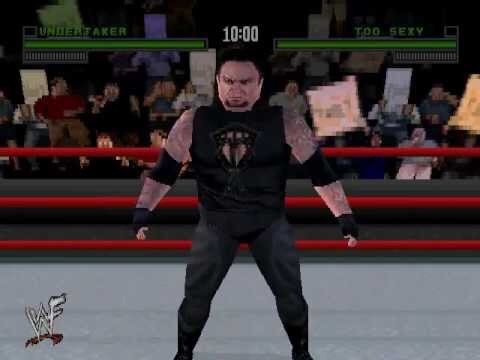 As you can tell, I could go on about this all day, and whilst in gameplay terms it may have been quickly superseded by Smackdown and Smackdown 2: Know Your Role, this one took a groundbreaking template, blew it out of the water, and could keep you going for months and months. And for me it did!